What Are the 5 Most Expensive Dog Breeds? Just in case any of you have a lot of spare cash when out selecting your new dog, I included this list of the five most expensive dogs in the world. I did not try to rank the dogs according to which dog was most expensive since prices change according to the dog's scarcity and popularity. Some of these breeds may not even be on the next list. A breeder in Germany is charging 20,000 Euro for a German Shepherd puppy so that dog could easily rank on the next list. Rottweilers are also expensive in Europe but have been so overbred in the US and South America that prices have fallen. This cute little dog has been selected to have child-like features and a friendly personality. They have been popular among the royalty of England for hundreds of years and are popular in the UK. They are still uncommon and demand a higher price in the US; since numerous health problems afflict the breed it may stay that way. They suffer from heart disease, spinal cord problems, and can also have hip dysplasia. They have been bred to have brachycephalic features (a muzzle shorter than it is wide) and have breathing problems associated with that condition. Although it is a spaniel, it is a toy dog and comes in four colors. My favorite are the chestnut and white dogs but they are also available in black and tan, ruby (almost all chestnut) and tricolor (black and white and tan). This breed of dog is expensive for a good reason. They look great but are brachycephalic so have several serious health conditions associated with their breathing; more importantly they have abnormal pelvic structure and since the puppies heads are so large they often have trouble whelping; over 80% of English Bulldogs require c-sections. They only live about 8-10 years but when owners were surveyed in the UK they actually reported a 6.5 year lifespan. 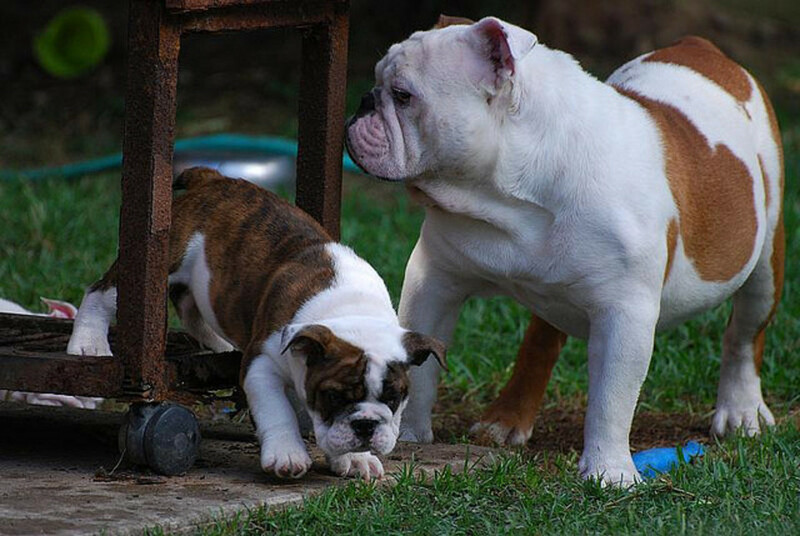 Bulldogs have heart disease, cancer, cherry eye, allergies, knee problems (patellar luxation) skin fold infections, and the majority of them also have problems with hip dysplasia. 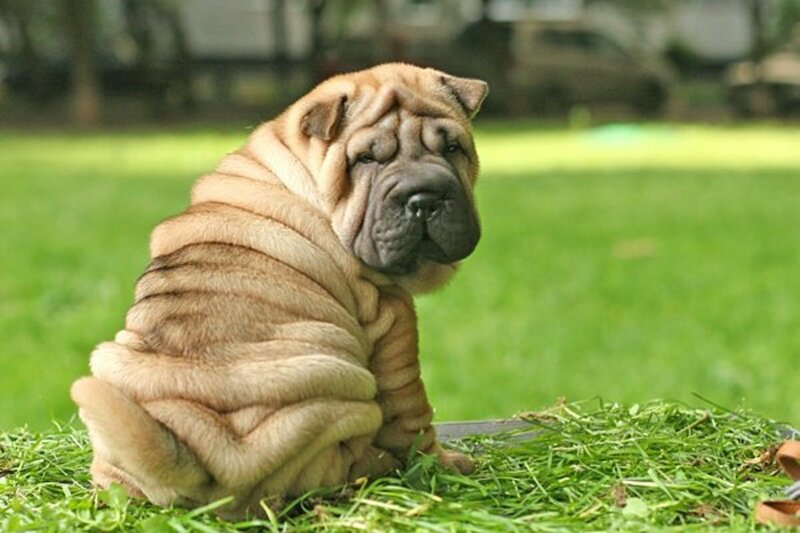 They are prone to obesity if they are not exercised but since they are brachycephalic overheat easily and cannot be exercised on hot days. Some breeders are trying to select more healthy dogs but the highest prices are still gained by the dogs with the short muzzles and heavy skin folds. If they stay that way this will continue to be an expensive dog breed. 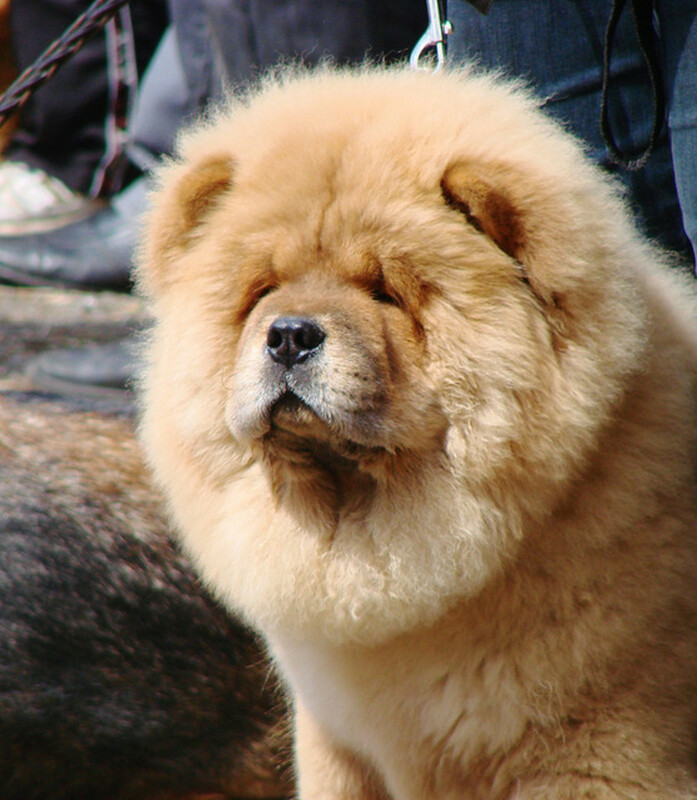 Besides being one of the breeds that shed a lot, the chow is also one of the most expensive. 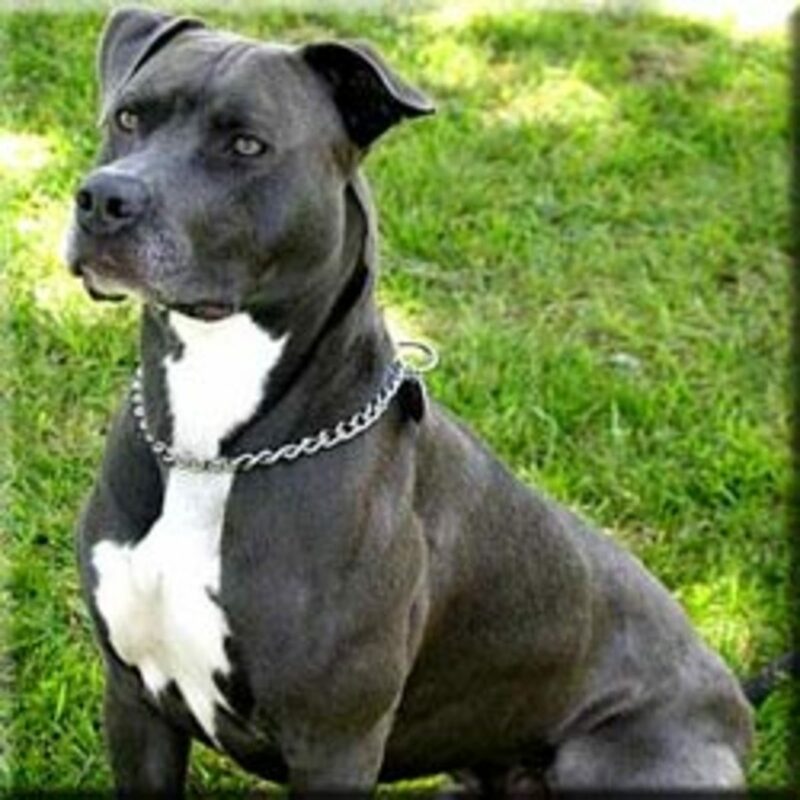 They are one of the oldest dog breeds and ancestors to many of the modern dogs. Unfortunately, the breed is prone to several diseases like cataracts, glaucoma, entropion, diabetes, pemphigus, and hip dysplasia. They also are affected by several types of cancer like lymphoma, stomach cancer, and skin cancer. If you decide to hand over the money and buy a Chow chow, you need to be aware that your homeowner's insurance is probably going to go up. 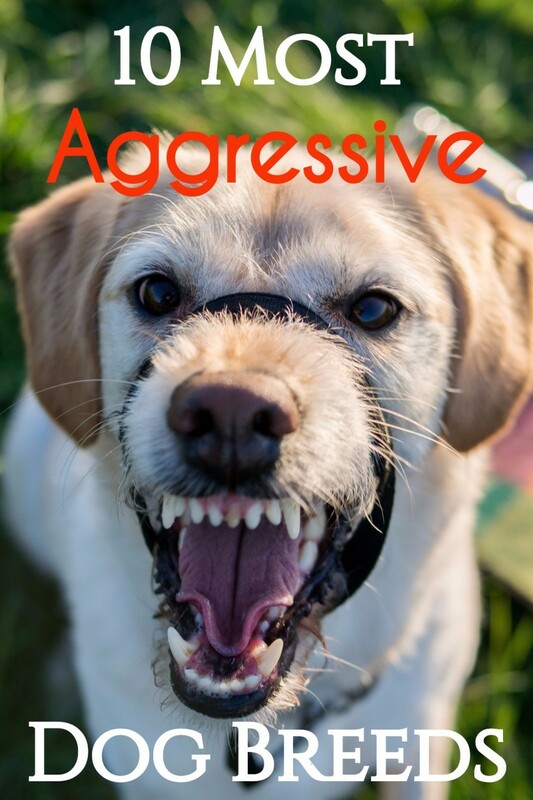 They can be great pets but have gained a reputation as aggressive dogs protective of their household. If you are looking for a quiet dog, however, a Chow chow is a good choice. This dog is a member of the desert nobility and acts like he knows it. 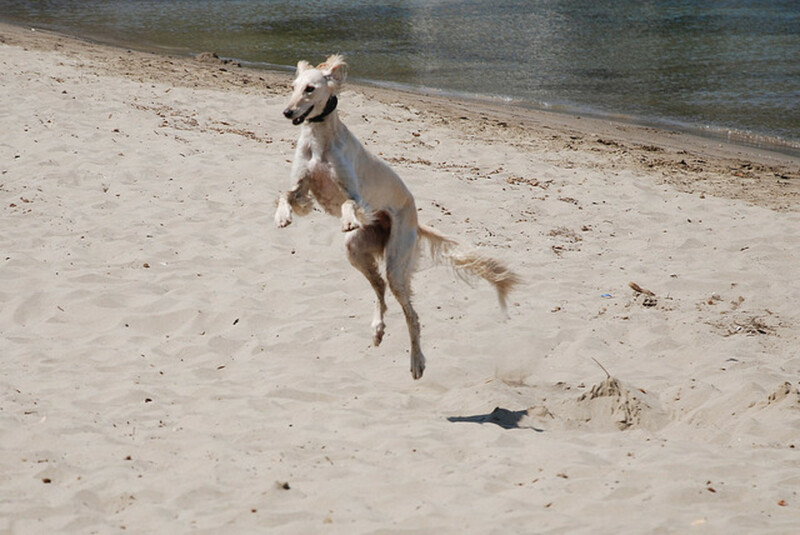 The Saluki is one of the oldest breeds around. They have been in Europe since the crusades but before that were found in Egypt and Arabia even before that. They are tall, skinny, and look graceful with their feathered tail and thighs. Why are Salukis so expensive? 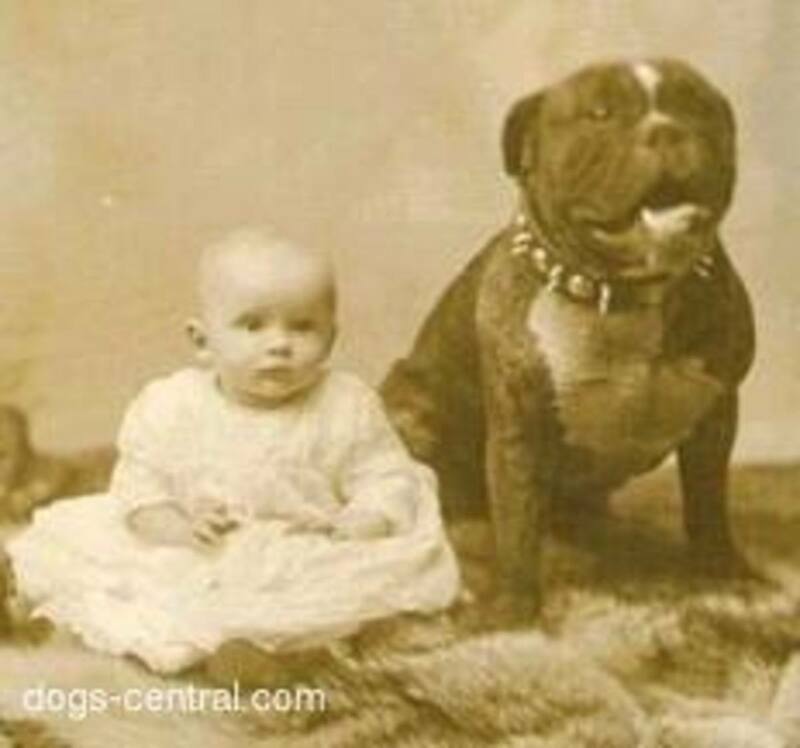 They almost died out in the UK during World War II but had already been recognized by the American Kennel Club in 1929. They are not a popular breed but have maintained their numbers. They are generally healthy for a purebred dog, with low rates of hip dysplasia and some heart and skin diseases. About a third of the dogs die from cancer, however. Maybe Saluki owners like to purchase the same breed of dog each time out, and since there are so few breeders the prices stay high. If you want a handsome dog and are willing to put up with an aloof sighthound that might run off and chase at a moment's notice, the Saluki is an excellent dog. This is the most expensive dog. 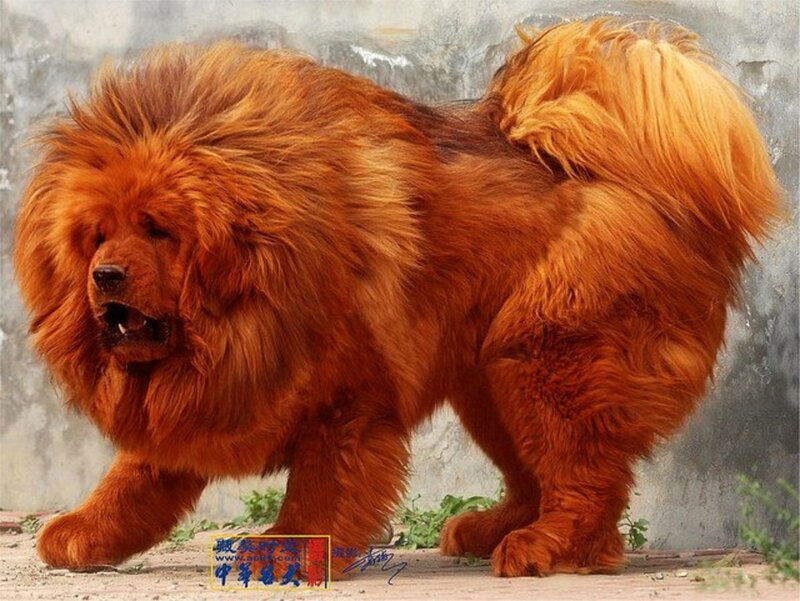 A wealthy industrialist in China recently purchased a red mastiff for 10 million Yuan (1.5 million US dollars)! 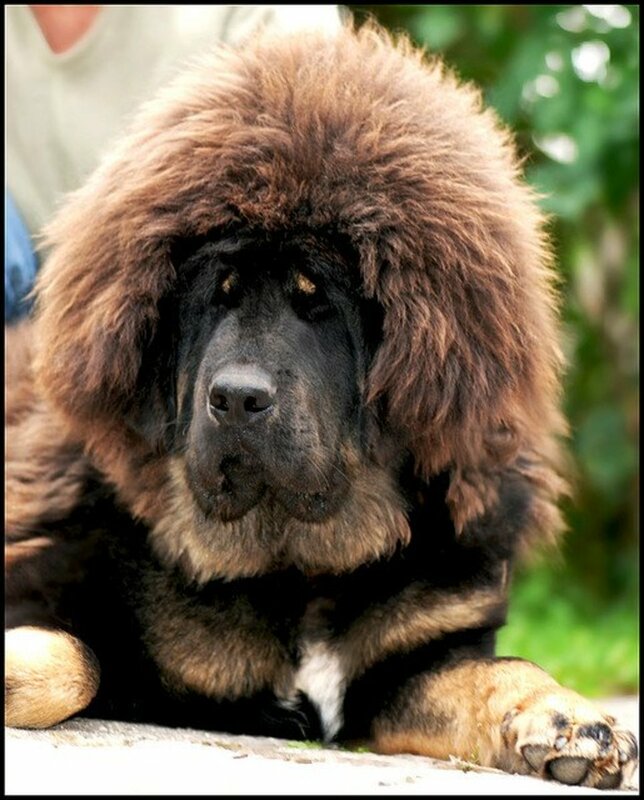 The most expensive dog previous to this one was another Tibetan Mastiff, sold for a mere $582,000 back in 2009. 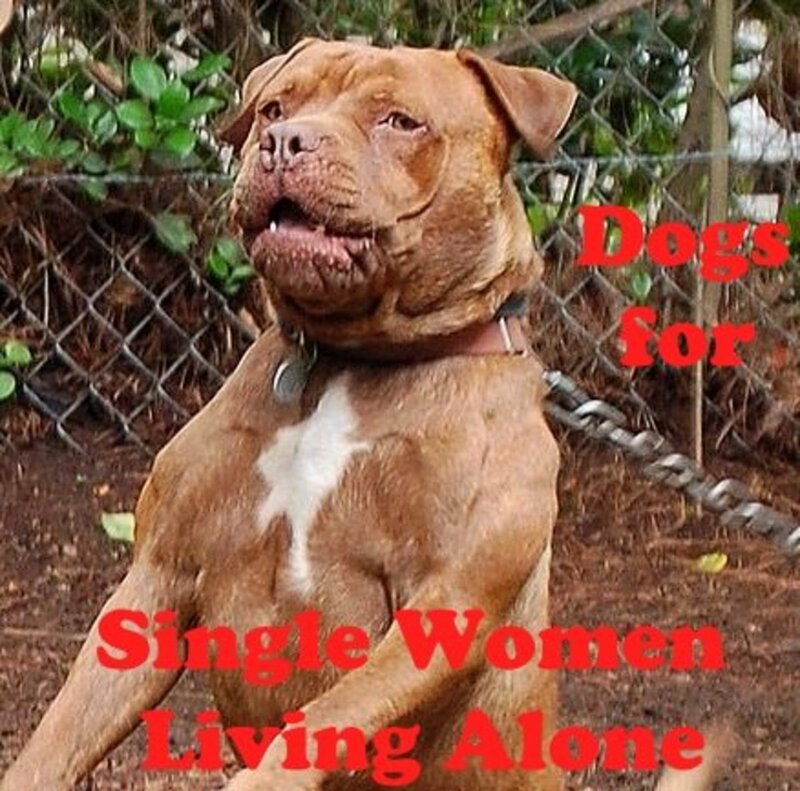 They make excellent guard dogs and look magnificent but . . . oh well. This breed is not that expensive in the U.S. After it was recognized by the AKC the dog was overbred and several genetic diseases were developed. 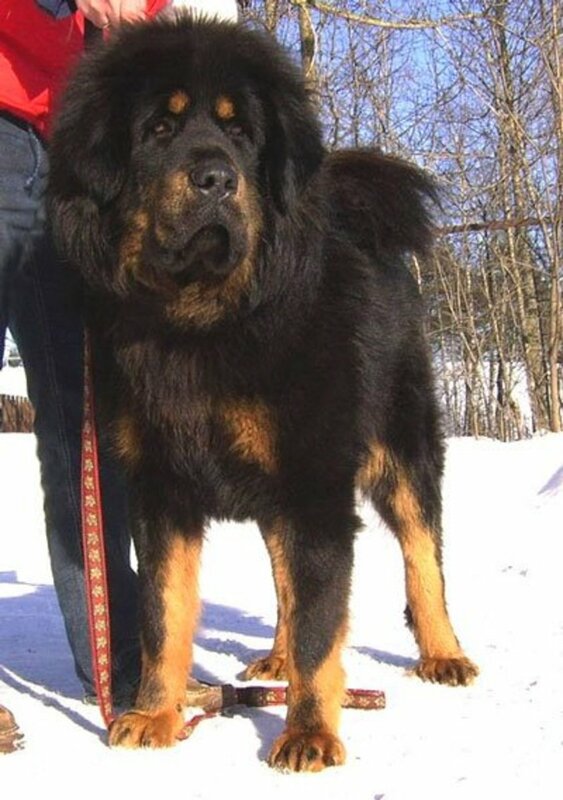 Tibetan Mastiffs are generally healthy and long-lived for a large breed but can be affected by hypothyroidism, skin problems, eyelid problems and cataracts, bite problems, and epilepsy. Health testing should eliminate these diseases, decrease the number of dogs available for breeding, and, since they only breed once a year, drive those prices back up where they should be. Probably not as high as those in China, however! Now that you have had a chance to check these breeds out, aren't you just ready to run out and spend a few hundred thousand? Are you looking for a new dog to add to your cat-friendly house? Here are five breeds that almost always like cats! Are you looking for a low maintenance breed of dog? Here are five dog breeds that all need basic care, but are also good at taking care of themselves. Hocan someone please let me know how I go about finding abreeder so I can rescue or adopot a cavaliers. Can someoneplease hep me fineally find the dog I have dreamed & loved for so long. My KC Spaniel is 9 and she has Mitral Valve (heart) Disease and will most likely only live another 4 to 10 months. I am heartbroken. She is the sweetest, smartest, most gentle dog I've ever had. She came from a breeder that I thought was reputable, but in hindsight, I should have researched deeper. Maria, CK Spaniels are not as prone to heat problems as some of the flat-faced breeds, but do be careful when introducing Thoven to his new environment. Take it slow so you both enjoy it for many years to come. Im going back to Philippines with my cavalier King Charles, Thoven!!! My Cavalier had NONE of the problems that are mentioned by that vet. Her sire lived to 17, and she died of cancer at age 12. 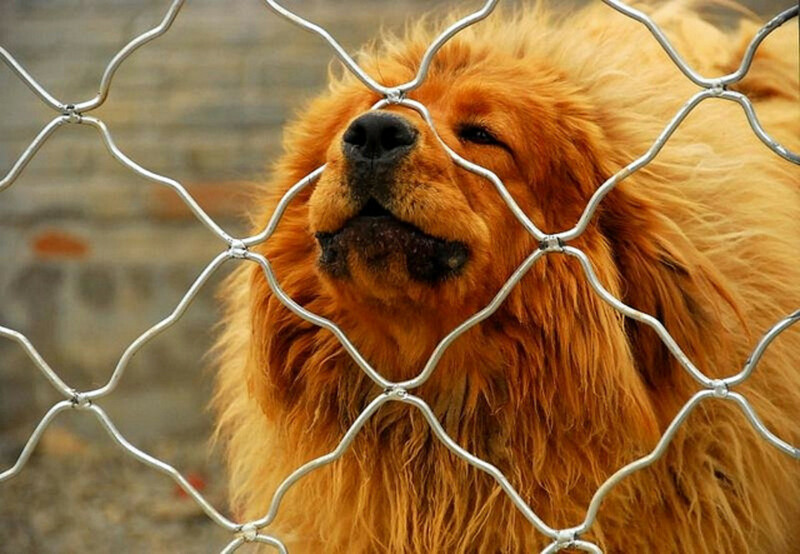 A person finds a good breeder to eliminate the health problems. I know that people have gone extremely toward rescue, and rescue is good. But if EVERYONE made sure that EVERY dog didn't breed ( that means spay or neuter), there wouldn't be unwanted pets. Most breeders are responsible, ethical people, who insist on taking their dogs back if unwanted. By the way, it's English Toys that have the breathing problems, not Cavaliers. I have a Cavalier King Charles Spaniel and she was a rescue from a local e group. It is possible to find a pure bred dog that is in need of a home. Our Cavi, Maggie, is one of four dogs in our home and all are rescues. We love each one for it's unique personality traits. Maggie is the cuddliest most loving dog we have ever had. If you want a true lap dog get a Cavalier King Charles Spaniel, but please get it from a rescue group. Breeding Cavaliers has been my sister's life's work. They are amazingly beautiful, smart and intuitive. Unbelievable how much some of these breeds cost. It's like having a living gold mine in your home. Very interesting article as I'm a huge dog lover. Or you could go to the pound and adopt a fully vetted dog for typically 0 to 100 dollars.And it could be hands down the fuggliest mutt in the place, and by the end of the week you'll be totally smitten saying he's the best dog EVER. I have a mestizo; she was free, but in this case it is not about money--she is worth a fortune, to me, of course! yes @Drmark indeed my dog is actually an askal and I love him so much all those work when he was younger are all worthy. In my case no money was involve but the love towards man's bestfriends are in common. Hey Paolo! I think they are all worth it, even "askals". (Here we call them "vira latas", which means "trash can tipper-overs"). Thanks for commenting. ohhh,, that's so cute. truly great companions in life they are and those are the things that money can't buy so it's all worth it. We had a tri color Cavalier King Charles Spaniel growing up, and she was a lovely family dog. Very loyal, and gentle. She lived to 15 years old. Worth every penny!! Cavalier King Charles Spaniel this one ! so cute but I think I should earn more to have one. And I just need to get the cash together for a Saluki! Oh I know English Bulldogs are expensive but I want one so much! I owned a Chow Chow as a child, but it was a stray.. I didn't know they were deemed in the most expensive dog breeds! Interesting read, voted up! I can understand that viewpoint but I bought a Siberian cat (they are hypoallergenic) because I am allergic. Expensive, but worth it. Sometimes it is the best option. I would have a hard time justifying spending thousands of dollars on a dog, however, especially since the best dog in the world (mine, of course!) is a mixed breed from a back yard breeder. My mom has claimed for years she wants a King Charles Cavalier. I personally like dogs that need a home more than ones that come from a breeder. The only purebred house pet my family has owned was a Persian cat and it was also the worst pet my family's ever had. My sweet Alaskan husky and German Shepherd both came from the SPCA and I couldn't ask for better friends. Their $100 price tag left me enough money to do things like feed them! Thanks for the comment Jmillis2006. You are correct in that the strict breeding rules keep the prices up on the Cavalier King Charles Spaniel, but I remember when Rotties used to be just as expensive, before they were overbred. I hope the Cavaliers stay in the hands of a few breeders and do not become "overpopular". I have a cavalier king Charles spaniel and you are defiantly right about being expensive, she is chestnut and white( known as blenheim in the world of cavaliers). 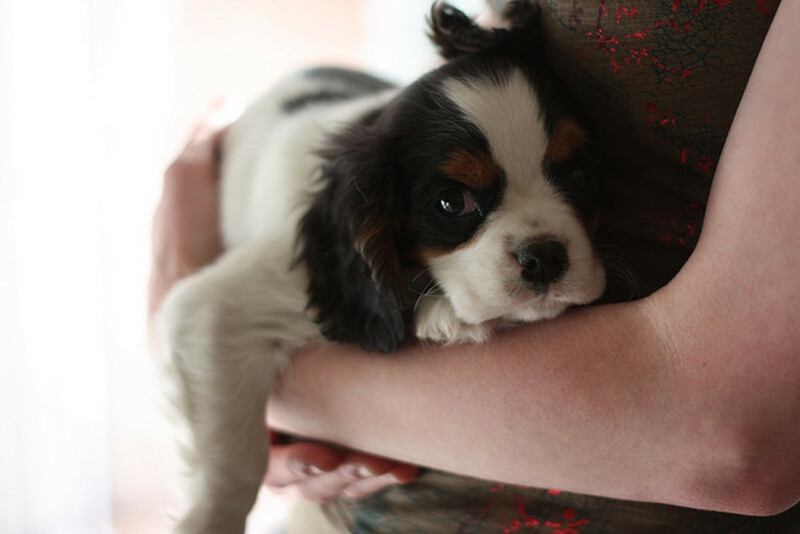 Cavalier spaniels are super sweet , but according to my vet in particular and information on the breed nearly all will have some sort of heart problem by ten. I think part of the reason for the cost is the strict breeding rules for this breed. Loved the hub. Angus definitely looks expensive. You must take great care of him! Thanks for stopping by and commenting. Wow! I did not know that my dog Angus is one of the most expensive dog breeds. Thanks for sharing. Have a great weekend! Thanks for your comments! eHealer did you have a Tibetan Mastiff in Vegas or was this somewhere else? I would love to have a Great Pyrenees but worry about that dog handling the heat. lrc7815, you would be a great Saluki mom, but could you have a Cavalier King Charles Spaniel in the house at the same time? That would deserve a humorous hub! I love your hubs DrMark, no matter what they are about. Something about these four-leggeds just makes the day warmer. 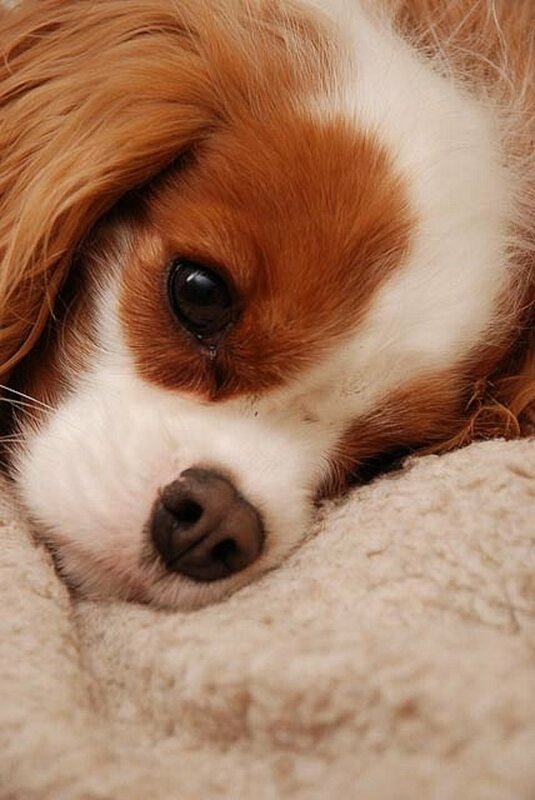 I will never own one because of their price but will continue to dream of loving a King Charles Spaniel and a Saluki. Odd combination, isn't it? Thanks for always giving your readers the truth about the breeds so that we can make informed decisions. Very interesting DrMark, great photos as always. I had no idea that a mastiff was that expensive! I had one in my younger years and was a great companion and run-buddy. Thanks and voted up!